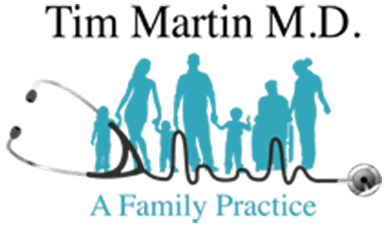 Chronic Care Prescription Policy - Abilene, TX: Tim Martin M.D. We are instituting a new policy regarding prescription medications that are refilled on a monthly basis. This DOES NOT include controlled substances like hydrocodone and Adderall. This DOES NOT include urgent medications like antibiotics. This DOES NOT include any Medicaid or Tricare prescriptions. This DOES include medications for hypertension, diabetes, arthritis, gout, depression…etc, for which a 90-day prescription is appropriate. There has been a dramatic increase in the rules and regulations put in place by government and commercial insurances. Our office now has over 90 different pharmacies that we might be asked to prescribe to. In regards to prescription medications, this is very difficult to manage. In an effort to simplify this complex situation, we are changing the process by which we prescribe chronic medications. (Acute care medicines like antibiotics and pain medications will still be sent to a local pharmacy.) We will now send all new prescriptions for chronic care medicines. And all refill requests for chronic care medicines to the mail-order pharmacy we work with: Advanced Rx. Their phone number is (844) 290-7034. Advanced Rx is an actual pharmacy in Richardson, Texas. They seek to work with all insurances except Medicaid and Tricare. When your medication is sent to them, they will call you, or you can call them at the number above. Once your insurance has been verified, they will ship your medicine to your address for free. If your insurance company does not cover your medicine to be filled through them, of if your co-pay is too expensive, simply ask them to transfer your prescription to the pharmacy of your choice. If you choose to have your prescription to any other pharmacy, please simply notify them and they will do so. Thank you for your understanding and cooperation as we work to provide excellent medical care in an increasingly complex environment. If Dr. Martin ordered specialty medicine for you, you can call that specialty pharmacy at (855) 581-6979.